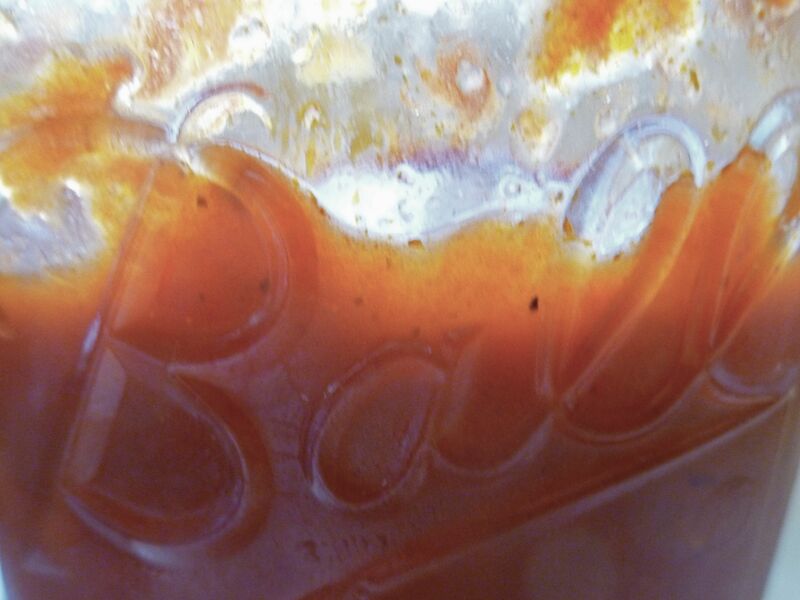 Last Summer's Roasted Tomato Ketchup - I still can't believe how useful this was! Yesterday, after a long day, I was able to make an awesome supper of pan seared Devon steaks, salad and a pasta side in just 20 minutes because of my well stocked pantry. Sorry, I was starving to death and taking pictures before wolfing it down just didn’t enter my mind. Sad because this meal was beautiful as well as tasty. Thanks to my new and improved steak cooking skills (thank you Alton Brown), my freezer full of well raised beef, and my pantry full of last summer’s bounty, I was able to revert to the all-American can & jar method of cooking and had it on the table in no time. The difference is that in my house, those convenience food jars are filled with preservative free, nutrient rich fruits and vegetables either from our garden or local farms. Yes, there was a bit of a learning curve, yes I had some failures, and yes I invested some time and money but there’s no turning back for me now. The improvement in flavor, value, nutrition and sustainability is unbelievable – I’m hooked! One very basic word of advice for those just beginning: stick to the simple. My first year canning, I was resistant to “geese in dresses” style of country food. In my quest to be super modern, I tried plenty of complex, expensive and hard to source gourmet recipes. Jam from rose petals is a lovely idea, but when it comes to every day eating, my family prefers jam that tastes like sun ripened fruit, not perfume. There’s only so much rose flavored meat glaze and seltzer/jam spritzers (good ways to use jams & jellies) we can use and fridge space is at a premium. So, floral flavored jams are out. (Don’t think that’s ended my plans for dandelion wine and nasturtium capers this summer though). Lesson learned, the things that make my every day life easier are the plainer things. The more basic the recipe, the more flexible and useful it is as an ingredient. Let the quality of the ingredient shine – seasonings can be adapted later. Start (slowly & simply) now by making a short list of basics used regularly in your Go To recipes. Prepare now by gathering your supplies and having them ready to go when the harvest hits (always sooner than you think). I recommend starting with the most basic, inexpensive and comprehensive of books, The Ball Blue Book Guide to Preserving. Spend your time and energy on recipes you know you will use. I won’t sugar coat the part where the peeling, slicing and dicing is time-consuming and spending a few hours in a steam filled kitchen in the middle of August isn’t my first choice for fun ways to spend a summer day. By spending your time on projects that you will definitely use, the payoff is obvious right away and you will appreciate the kitchen boost again and again. I swear, after enjoying your bounty for a winter, next April you will be revving your engines for next canning season! 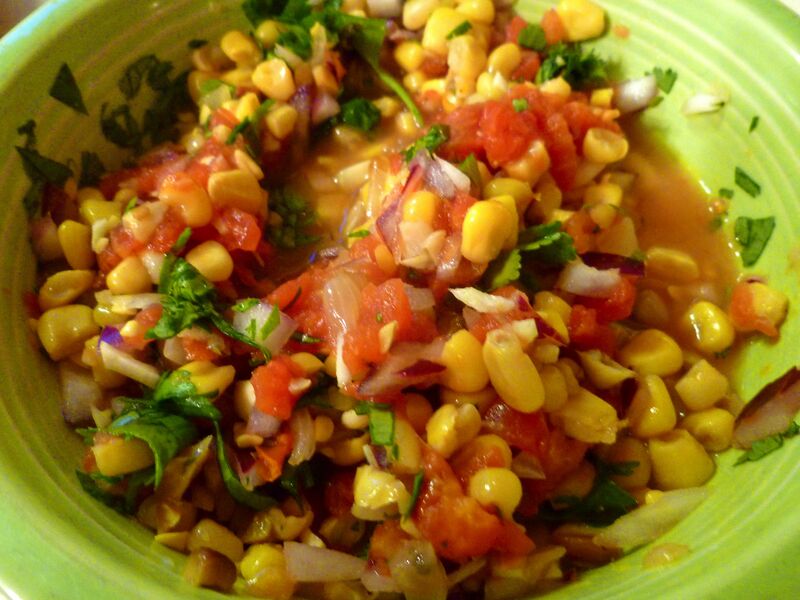 Salsa made from our roasted corn relish. Fresh corn from our garden truly is summer in a jar all winter long. I’d love to see a recipe for that roasted corn relish! Also, your list is so enticing! 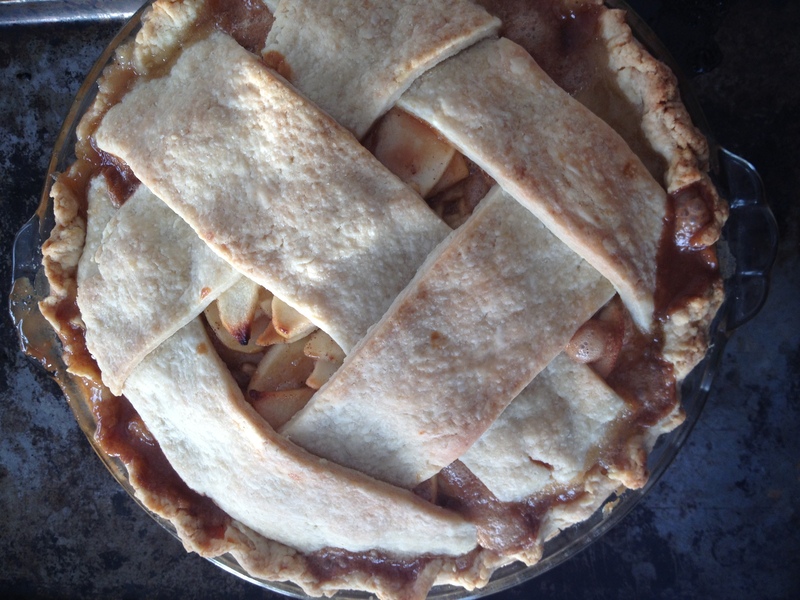 You ought to think about offering a food vacation where you teach city kids like me to make these things! Sadly, the corn relish is never to be repeated. It was a wild improvisation that I didn’t write down. Great idea about the teaching… huge need there.